Craig Slater has moved to Tannadice from Colchester United until the end of the season. Dundee United have made their first signing of the January transfer window, agreeing a loan deal for Colchester United's Craig Slater. The former Kilmarnock player will move on loan until the end of the season, pending international clearance. 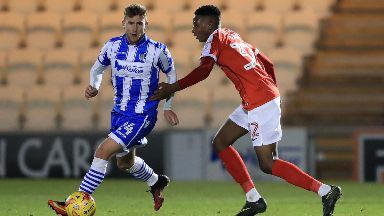 The 23-year-old, who has played for Scotland at every youth level, move to Colchester in the summer of 2016 and made 28 appearances for the side but has only played half a dozen times this season. Slater made his name at Rugby Park, where he scored nine times in 85 games, and will be a welcome addition to Csaba Laszlo's squad as they aim to earn promotion to the Premiership. United have suffered two major injury blows in the last week with Fraser Fyvie and then Scott Fraser sidelined with long-term injuries. The Tannadice side are currently three points behind St Mirren in the Championship table with a game in hand over their Paisley rivals.